Enjoy from our great selection of tap beers or just request your favourite stubby or can go on ice and our friendly staff will look after you ensuring you never have anything but icy cold beer. 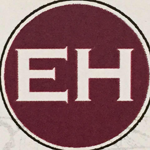 With a fantastic range of wines we can cater for the wine connoisseur or the little less fussy, and with the bottle shop attached we are sure we’ll have the wine for you. Enjoy the friendly warm atmosphere throughout the Tavern with Juke box entertainment, pool tables for a game with the mates and regular social events including Trivia nights every Wednesday from 7pm. Located centrally in Taree this extensively refurnished heritage hotel offers budget accommodation. Quality meals in Plates Restaurant. Close by to shops, business area, park and river. Entertainment in the waterfront room on occasions. 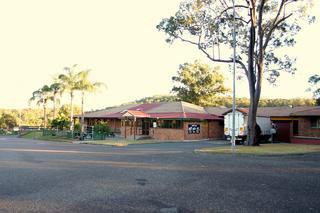 Taree RSL and Golf Club Ltd trading as Club Taree is the newest entertainment and function venue in the Manning Valley, having relocated to our new premises in November 2003. 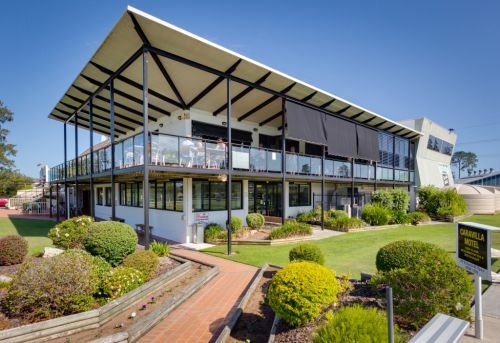 We offer our members and guests modern facilities, regular promotions, entertainment, a range of exciting weekly activities and delicious dining options at our Iron Bark Restaurant and the all new Lilly Pilly Café. 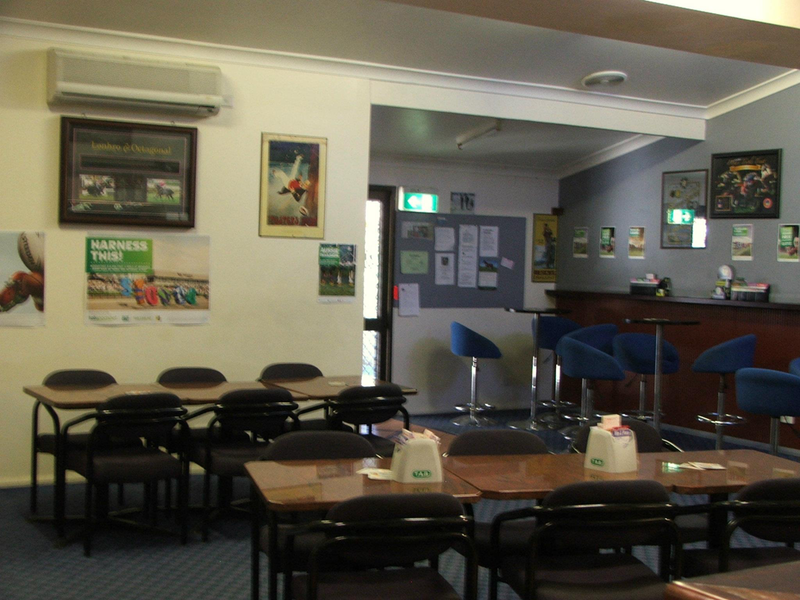 Taree Leagues Sports club provides a friendly, relaxed atmosphere for members and guests, and is an ideal venue for socialising, or just enjoying a nice meal in our restaurant. Taree Leagues Sports Club also offers a wide range of entertainment. The Fotheringham's Hotel is situated only meters from the majestic Manning River, home to the International Power Boat Races. The hotel is a quick walk from the heart of town, making it a very handy place to stay. 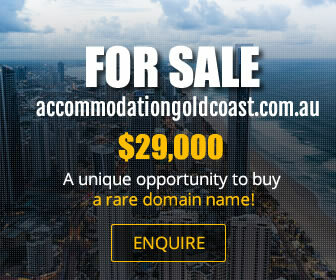 The Old Bar Tennis Club is located in the Old Bar Reserve on the left of Old Bar Road in Old Bar, approximately 400 metres from the town centre and 600 metres from the beach. 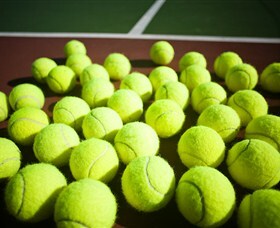 The club offers social tennis, competition tennis, coaching, court hire, Club Championships and junior tennis activities. Professional Coaching available - they are fortunate to have Wayne Deer as coach. Wayne is a fully accredited Tennis Australia Club Professional. Cafe and RestaurantSince February 2014, the Cafe has been open exclusively for bus tours and groups only - Booking requiredprivate functions (minimum numbers apply). For irresistible Italian food in Taree, be sure to visit the goodfellas at The Sicilian. We are proud to offer an authentic fine dining experience, where you can enjoy delicious fare in a relaxed, 1940s-inspired setting. Mouth-watering pizza, pasta and other traditional dishes are offered at our Taree and Forster Italian restaurants, as well as a colourful selection of cocktails.Make your next special occasion a surefire hit with your guests by making a booking at The Sicilian. We are more than happy to accommodate large groups for weddings, conferences, birthday parties and christenings.At The Sicilian, we don't settle for second best. It is nothing personal. It is just business. And good food is good business. Our chefs only work with the freshest, most flavoursome ingredients.Whether you want to enjoy a hearty meal with family, or just a quick coffee, The Sicilian will make you an offer you cant refuse. For fine dining in Forster or Taree, visit us today. Indian Restaurant located in Taree serving traditional Indian food. Were open for lunch from Tuesday to Friday 11.30am to 2.30pm.Open for dinner Tuesday to Sunday 5.00pm til late.Free home delivery on orders of $30 or more. At Old Bar Tavern, we pride ourselves on offering great food, awesome entertainment and excellent hospitality. There is always something exciting going on at the Old Bar Tavern, and we are an awesome family dining spot. You can enjoy a round of pool or two at our establishment, and we showcase a huge range of beers, wines, coffees and spirits. Visit the Old Bar Tavern the next time you are in the area. There is also a bottleshop at our location. At Taree West Food & Liquor, we can satisfy your tummy and your tastebuds with our wide selection of food and liquor. Our general store stocks all the popular beers, wines and spirits, as well as all the ingredients you need for a great dinner to go with your drinks! Come in today. At Bushland Tavern, we offer great dining options, a fantastic variety of drinks and warm hospitality. Our bistro menu features a huge range of options to cater to all tastes and appetites. We are happy to accommodate your next function, and our staff are always friendly and attentive. For a great Taree tavern experience, be sure to head to the Bushland Tavern. Looking for someplace to have a great time and savour great food? Taree Leagues Sports Club is the perfect spot. Housing one of the best Sports and Bowling Clubs in Taree, we provide a friendly and relaxed atmosphere for club members to enjoy an ideal venue for socialising or enjoying a meal.Enjoy a range of activities with us and with family and friends, including bowls, darts, cricket and travel club. We also have bingo and a number of raffles every week. Taree Leagues Sports Club also offers a superb variety of entertainment, such as live bands and other performers. We are the only venue in town to have LIVE entertainment every Friday night. Play KENO or use the TABdo whatever your heart fancies. 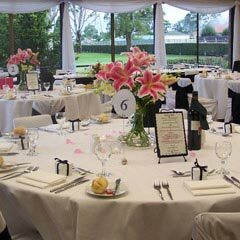 Taree Leagues Sports Club has excellent facilities where guests can have fun at any game or any other activity of their choice.Aside from having one of the preferred bowling clubs in Taree, we offer a great dining experience. The famous Bistro Cafe offers members and their guests a hearty range of delicious options including gourmet burgers, mouthwatering seafood dishes, traditional roasts plus so much more to tickle your tastebuds plus coffee and cake available each day. Freshly prepared and served quickly to you in a counter bistro setting or in our fully serviced restaurant.To further accommodate our guests and club members, we have courtesy bus for their convenience and security. Voluntary Not for Profit Organisation working to create a better community. Both Men & Women who volunteer their time raising funds. Assisting those less fortuniate. ie. Aged, Youth with the Community. Delight your tastebuds and drop into Raw Sugar Café for a delicious drop of coffee or a scrumptious snack. Looking for Tarees best coffee? Raw Sugar Café is a renowned for its good coffee, tasty food and friendly customer service. We understand the importance of a nice cup of coffee. That is why we use the world favourite Vittoria beans in our coffees, renowned for its full-bodied flavour and rich aromas. Our baristas take pride in every drop they brew, ensuring our customers receive a flavoursome cup of java every single time. If youre feeling a bit peckish, try one of our healthy sandwiches or wraps, or for something a little naughty, tuck into one of our cheeky desserts. For those who favour something a bit more filling, we make some of the best lunchtime meals in town, including gourmet burgers, pasta and seafood dishes. We also cater to vegetarians with appropriate options on our extensive menu.At Raw Sugar Café, we know how much people love their breakfasts so we offer our delicious breakfast menu all day. We also offer in-house and on-site catering services, including personalised menus and hot and cold finger food. We can cater functions up to 100 people, which is proving very popular in the corporate and business sectors. When it comes to making our delicious cuisine for our customers, Raw Sugar Caféuse only fresh, local produce, grown here by Manning Valley suppliers and growers.For some of the best coffee and cakes in Taree, drop in and see us at Raw Sugar Café, where the food is fresh and the coffee always tastes amazing. 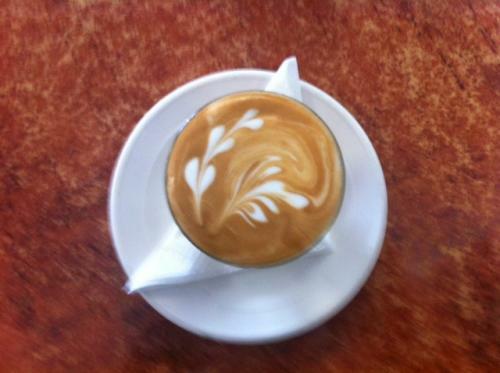 Come on into 'Centrepoint Cafe Taree' to experience the best coffee and the most beautiful food in town. We have a modern menu to match our new look which includes locally made timber table tops.Whether youre planning to have breakfast before you begin your day, are on the run & need to pick up a T/A Coffee + Bacon & Egg Roll, morning tea or lunch with friends, come in and experience a unique and delicious dining experience.Our menu offers a range of tempting freshly baked cakes and slices for the sweet tooth, special lunch offers from superfood salads to burgers, steaks and paninis or try something tasty from our gourmet menu range.We pride ourselves on sourcing our scrumptious produce locally in Taree, Rudi's bacon & locally made Rye Sour Dough.For the coffee lovers, our fully trained and passionate baristas are ready to make your next Doppio Or Nothing Espresso. Have you tried a Piccolo latte yet? A delicious coffee hit with a touch of milk. Or if you're on the run ask us about our low tide take away coffee.We cater to the health conscious & are excited that we have perfected our Contemporary Iced Coffee recipe. This has become very popular & a must try. If coffee isn't your thing we also offer milkshakes, smoothies, iced chocolates, organic juices & other refreshments.The tea lovers haven't been forgotten about. We proudly serve Camellia Organic Teas. One of the favourites amongst our diners is the Wet Chai, made with loose chai tea leaves. We also serve English Breakfast, Earl Grey, Peppermint, Gunpowder - Green Tea, Lemongrass & Ginger.If you need last minute or pre-planned catering for any event we are happy to assist. Please speak with Julie-Ann as this is her field of expertise, she has had her own Boutique Catering Company while living in Sydney & honed her skills with everything Outside Catering related while living & working in London. She is happy to discuss your event with you. We offer platters of fresh fruit, homemade cakes, sandwiches, wraps & baguettes.If there is a special occasion such as a significant birthday dinner or engagement party we are able to cater for these as well. For great coffee, awesome food, quality service & a place to catch up with friends call in to Centrepoint Café Taree today. Drop in and meet our fantastic friendly team at the Bushland Tukka Cafe and sample our full bodied espresso. Our seasonal menu features recipes made with fresh local produce and native bush tucker ingredients plucked fresh from our budding community garden whenever possible.We offer catering facilities and venue hire for your next function or community event tailored to your needs and budget.The Bushland Tukka Cafe & Community Hub is a unique social enterprise community development initiative of Manning Valley Neighbourhood Services with all proceeds from the cafe going back into the community. Cafe Connect located at Club Taree is open at 10 am daily serving hot and cold beverages, delectable cakes, slices and desserts along with a range of light meal options.